Action Alert: Your Advocacy Urgently Needed This Holiday Season! 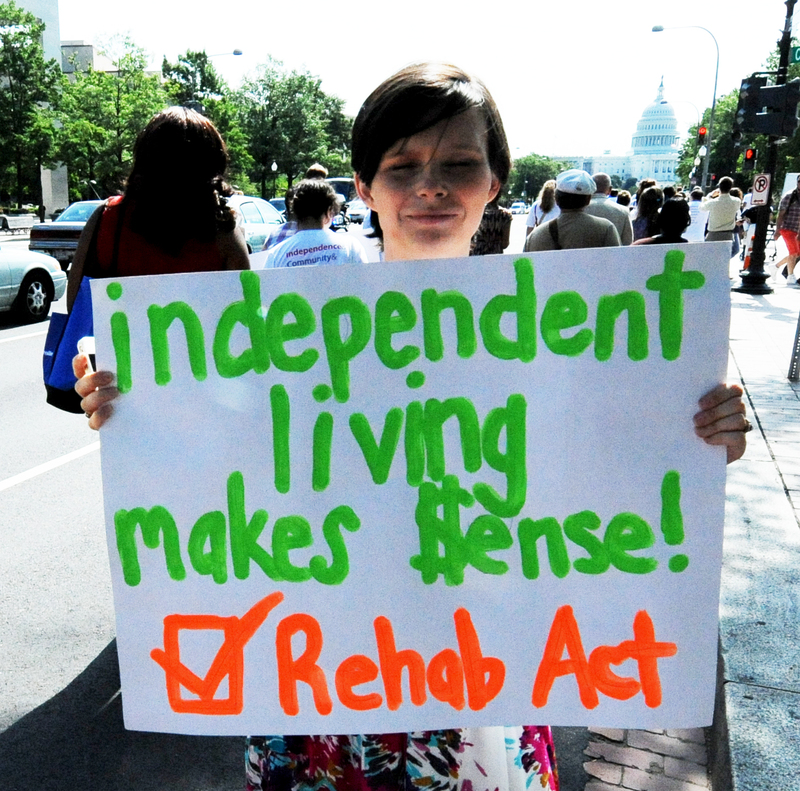 You are here: Home / Independent Living & The Rehabilitation Act / Action Alert: Your Advocacy Urgently Needed This Holiday Season! The holidays are a time reminiscent of festivity, hot chocolate by the fire, the kind embrace of family, and a chance to return to the familiarity of home. As you run to catch your flight, bus, or train, remember that home is also a place for advocacy as your Senators make home visits to their constituents. The holidays are an ideal occasion to visit your Senators at their home offices and speak with them at Town Hall meetings, reminding them that during this holiday season the Reauthorization of the Rehabilitation Act (Senate Bill 1356) is of the utmost importance to you. Every time you contact your Senator, we are one step closing to seeing action on the Senate Floor. You can make that difference by setting up a meeting to see them in your home state. These hometown meetings are powerful indicators to your Senators of how passionate you are about this legislation and leave them with a stronger impression than a phone call.This is your opportunity to reach out to your Senator to illustrate your support for Reauthorization now, as the Act has not been reauthorized in 15 years. We are calling on you to remain dedicated! Disability and Independent Living advocates have worked tirelessly with legislators to strengthen and update the bill’s language to make significant positive changes to the Independent Living Program. But in the words of Justin Dart, “You have the power. You have the responsibility”. Without your action, our efforts will not prevail. We need you in order to achieve success. By meeting with your Senators this holiday season, you can ensure that this bipartisan bill receives the support it deserves. You can impact the policies that shape the lives of yourself, your family, and your community members with disabilities from your home state. The Rehabilitation Act (S. 1356), which is contained within the Workforce Investment Act of 2013 (WIA), will not achieve its potential to further independent living for people with disabilities unless you commit to furthering this legislation. The Rehabilitation Act, NCIL’s top legislative priority, mandates how Centers for Independent Living (CILs) and Statewide Independent Living Councils (SILCs) operate. Although the Rehabilitation Act passed out of the Senate Health, Education, Labor, and Pensions (HELP) Committee with an overwhelmingly strong vote in July, the bill will not make its way to the Senate floor for a vote without Senators personally hearing from you when you return home. Let the promise of the holidays and the spirit of home motivate you to call or email your Senator’s office to set up a meeting today. Simply request a meeting to discuss the Rehabilitation Act and the Workforce Investment Act with the most appropriate staff person. You can prepare yourself for this meeting by learning more about the Rehabilitation Act. At the meeting, use NCIL’s Holiday Season Talking Points (PDF or plain text) to advocate for Reauthorization of the Rehabilitation Act so you can confidently express to your Senators why they should support the legislation (feel free to leave a copy of the Talking Points with them as well). Make sure your Senators know how the Rehabilitation Act and the Workforce Investment Act will affect you, your family, and the CILS and SILCs in your state. They want to hear about your personal experiences, especially in these hometown meetings. It is this confident and motivated advocacy that will not only make your holiday season meaningful, but bring the Independent Living Movement one stride closer to achieving success. If you are from a state that NCIL is targeting to enhance these efforts, we especially ask you to introduce the tradition of advocacy into your holiday season and promote the Reauthorization of the Rehabilitation Act. Advocacy during the holiday season is vital to the hope of bringing the Rehabilitation Act to the Senate floor for a vote in the new year. Gather together and pay a visit to your Senator’s hometown office in your best holiday sweater to express your support to Reauthorize the Rehabilitation Act today!